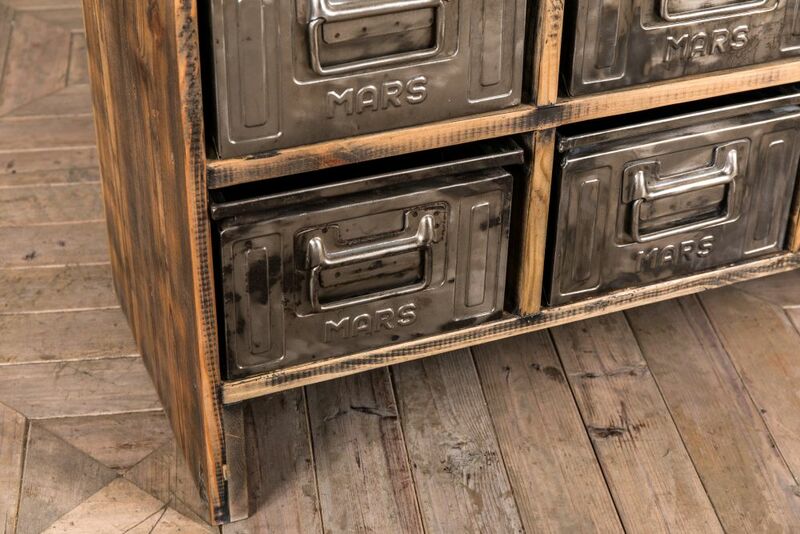 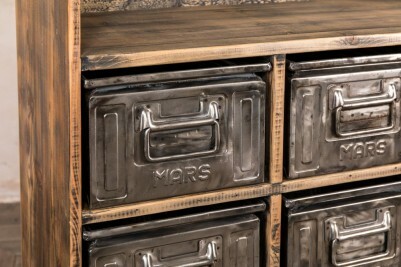 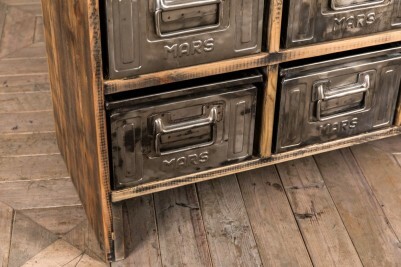 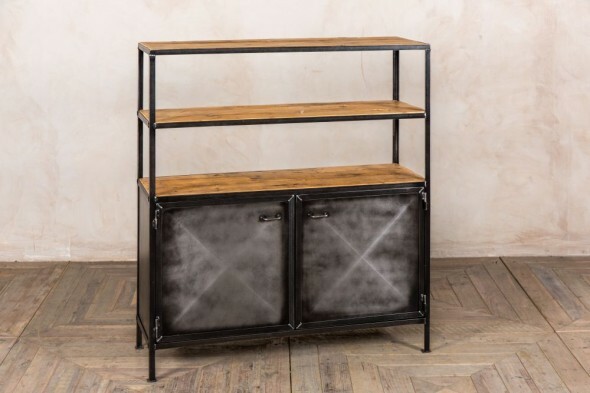 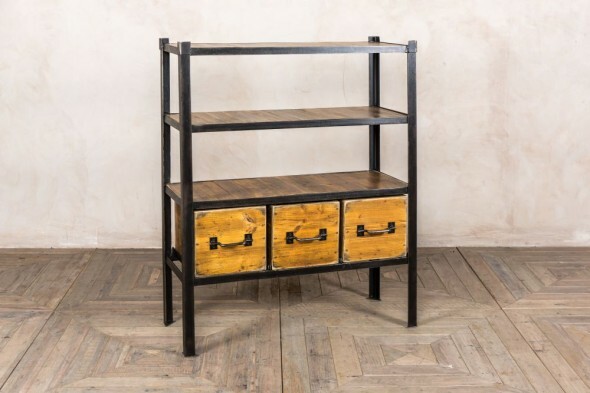 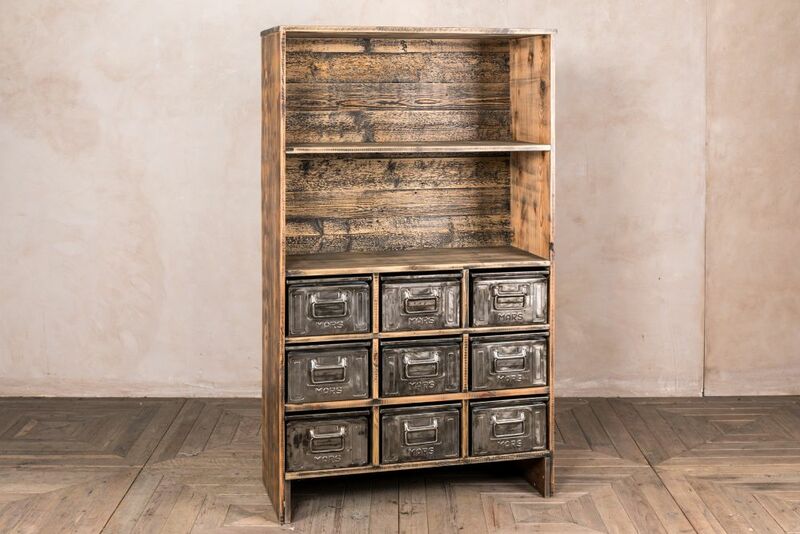 Style your home or business with this fantastic vintage industrial cabinet. 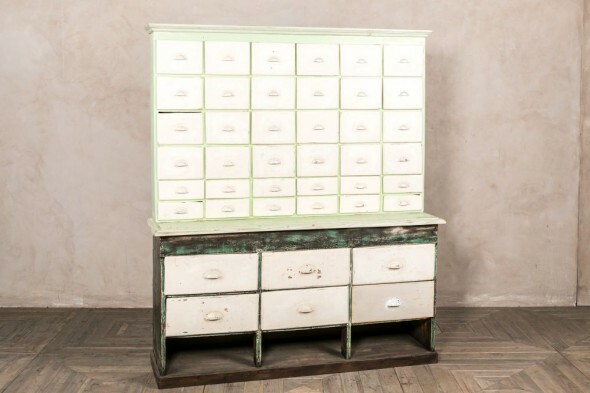 The cabinet is large and offers ample storage space, perfect for storing and displaying items. 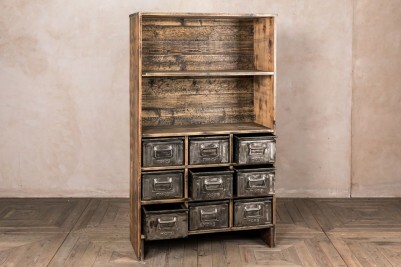 Use this cabinet in an office to store files or display books. 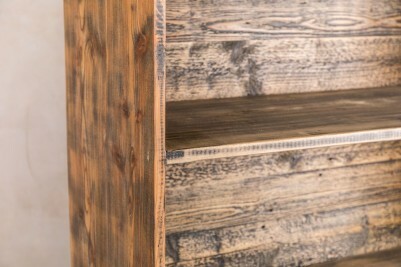 Alternatively, it could be useful in a bar or restaurant; use the shelving to display drinks bottles and hide menus, napkins, and bar snacks in the drawers. 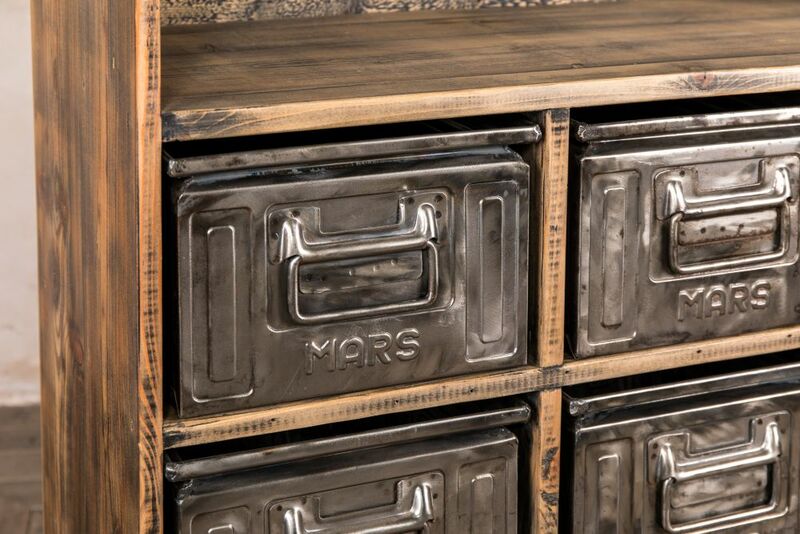 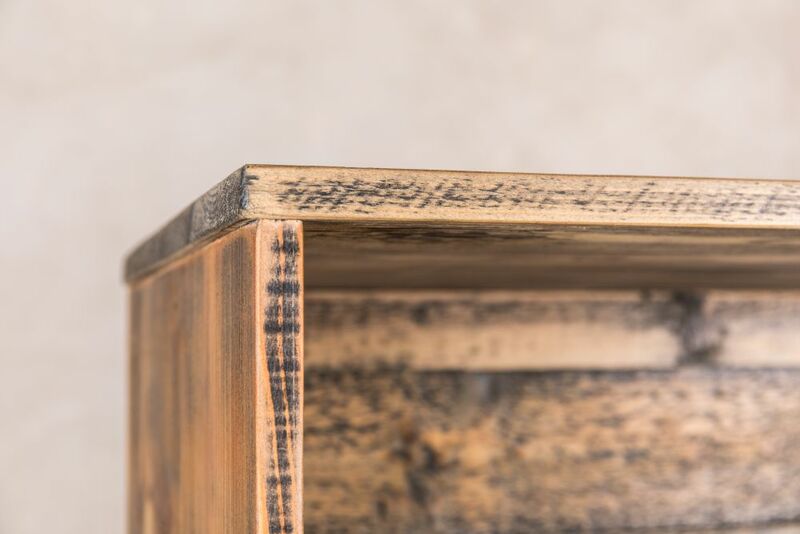 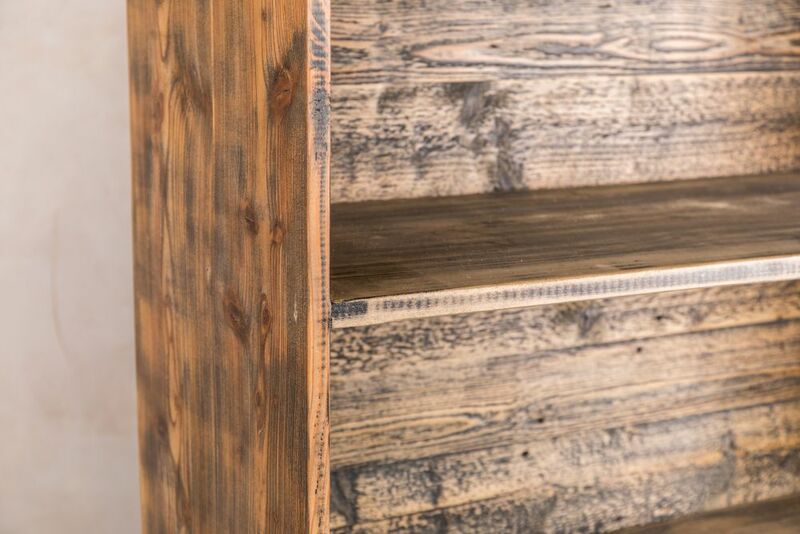 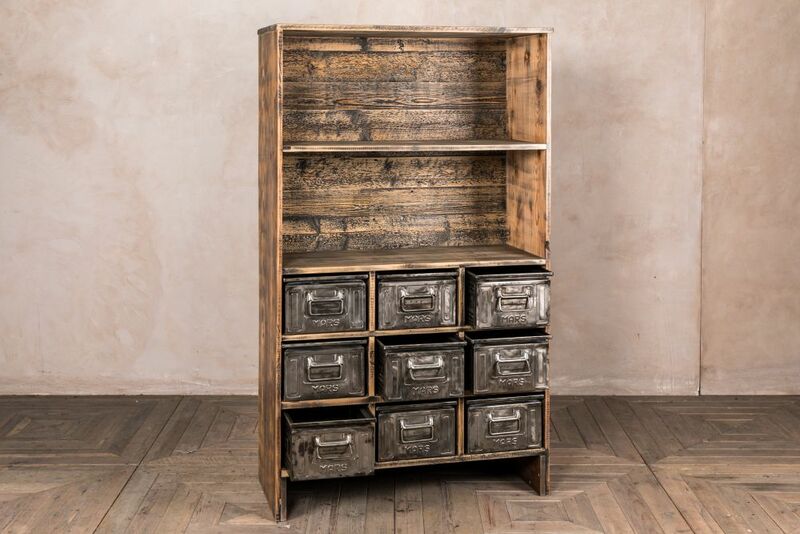 The distressed wood and stripped and burnished drawers give this cabinet a fantastic industrial appearance that would suit any urban, contemporary or industrial style space. 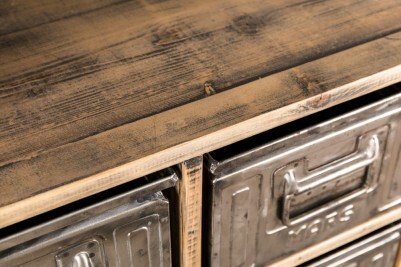 As it is a vintage item, please allow for some signs of wear and tear consistent with its age.